Getting rid of your waste and clutter is no longer a stressful task as Easy Go Skips Hire offers a comprehensive range of waste removal services in IG3 Ilford Seven Kings, Goodmayes and its surrounding areas. We are a leading skip hire company that offers services to both commercial as well as residential sectors. Whether you are looking to get rid of waste from an old kitchen, store room or your construction site, our easy and fair process of hiring a skip can help you to manage your waste effectively. Our skip hire services provides a variety of methods to help clear the rubbish from your property and we take the responsibility of disposing the unwanted waste material while maintaining a healthy environment. At Easy Go Skip Hire, we offer cheap skip hire services so that our customers do not have to burn their pocket to manage their waste. It is our years of experience in managing waste operations that we are able to handle the varied requirements of our clients with ease and have ensured 100% satisfaction to our customers. We offer next day delivery of skips to various locations of IG3 Ilford Seven Kings, Goodmayes and our modern fleet of extendable skip trucks have enabled us to deliver different sized skips into small as well as restricted areas. As a reputed and reliable waste management company, we can make an unpleasant site of disposed waste disappear overnight at an affordable cost. Our skip hire specialists understand your requirements and are committed to providing an environment friendly and efficient service without wasting your precious time. With a range of varied services, we can easily customise our services to suite your exact needs. 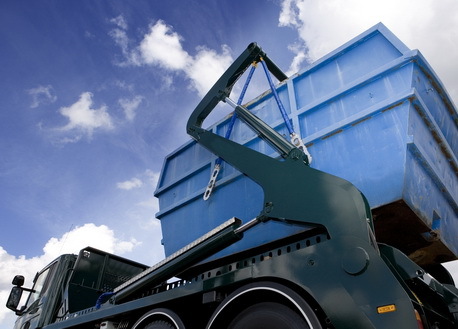 All you have to do is to call us to arrange our skip hire services and we will take care of the rest.